This printable will print on a full page (8.5 x 11) and can be cut in half to use in a half page or A5 Planner. 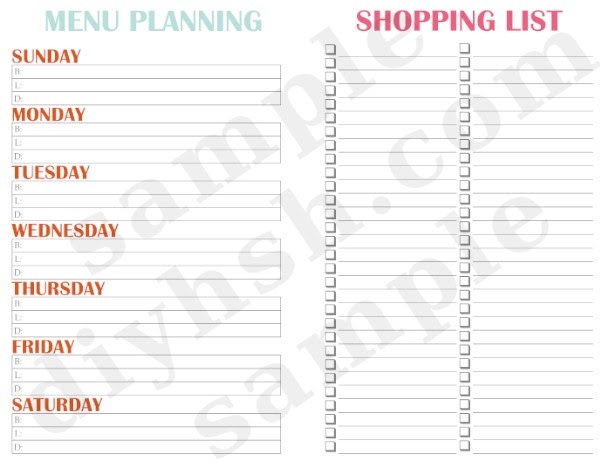 This printable is perfect for writing out and planning your weekly meals. 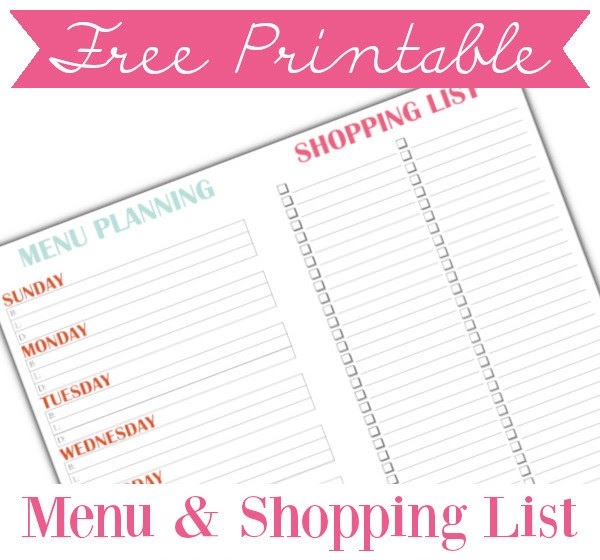 Here is a great tip to cut down on the time you spend planning meals: Print out 4-6 of these menu planning printables and fill them in with all of your family's favorite meals. Under the shopping list, write down everything that you need in order to make each of the meals for the week. Laminate (optional) and store. When you're ready to go shopping, you already have a full meal plan and shopping list made up. Rotate through the printables and add more to it as you wish.